Share what you think about ShopRite, and your favorite ways to save there! shop rite has great produce and meat selection at competitive prices. My Shop rite has the best deals. Love it!! The best prices around. Very helpful employs!!! love, love, love Shop Rite! 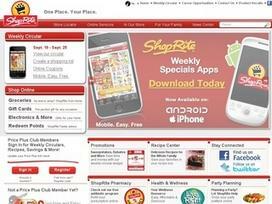 Love shopping at shoprite.com with the help of coupon craze!! i love shoprite they always have everything you need no need to go anywhere else..and the help is always there when you need it..